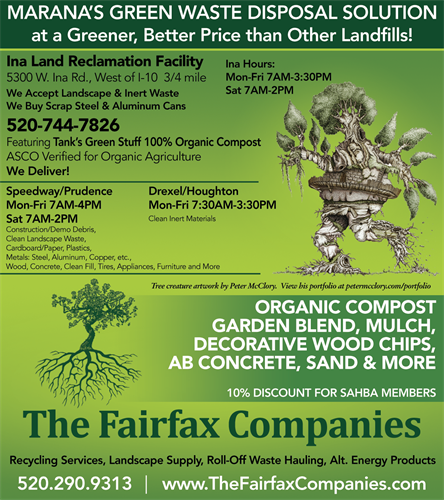 Tank's (Managed by The Fairfax Companies) is Southern Arizona's leader for the construction, demolition, and landscape waste industry. With respect to commercial waste, Tank's sets precedence for the rest of the industry by demonstrating that it is possible to recycle most materials disposed of in construction and demolition debris landfills. 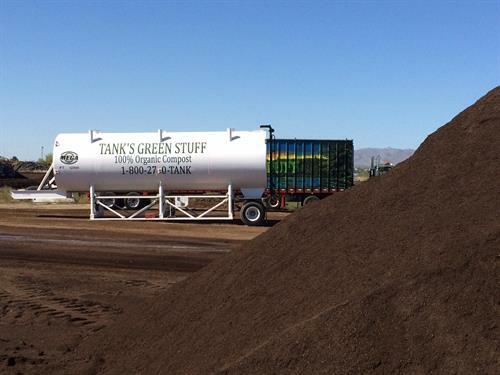 Tank's creates jobs and markets by utilizing waste materials as building blocks for value added products. Tank's is dedicated to improving the environment through creative and innovative business practices. From the intersection of I-10 and Ina Rd, proceed west on Ina 1/4 mile. The facility is on the north side of the road at 5300 W. Ina Rd.